Home / How to obtain Australia Post credentials for ELEX WooCommerce Australia Post Shipping plugin? This article is intended to explain how to obtain Australia Post and StarTrack credentials for ELEX WooCommerce Australia Post Shipping plugin. Refer the product page to know more about other various features of the plugin. Australia Post is a government corporation handling postal services in Australia. They cater to personal, business, enterprise, and government shipping solutions. There are various services offered by Australia Post using which you can send parcels across Australia as well as around the globe. 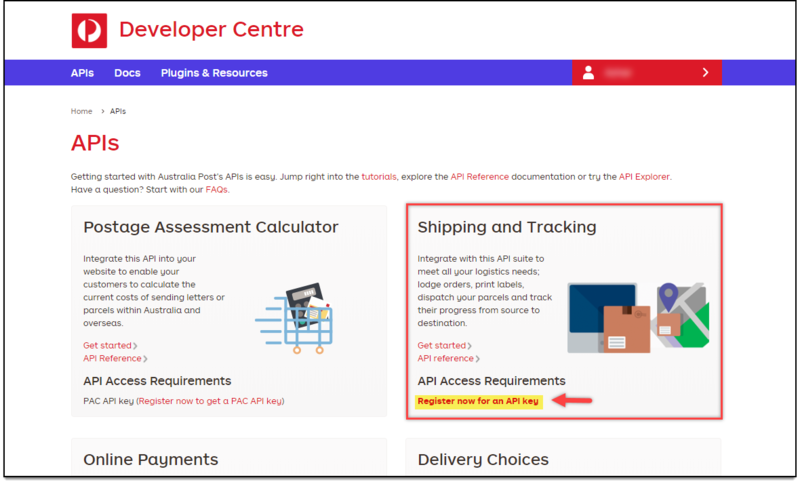 In addition to sending, receiving, and tracking shipment service, Australia Post provides developer APIs facility to integrate their APIs in custom applications to access Australia Post real-time rates and other services. One such application is our ELEX WooCommerce Australia Post Shipping Plugin with Print Label & Tracking plugin. For eParcel Contracted service – Australia Post API key, eParcel API Secret, and eParcel Account Number. For StarTrack – Australia Post API key, StarTrack API Secret, and StarTrack Account Number. 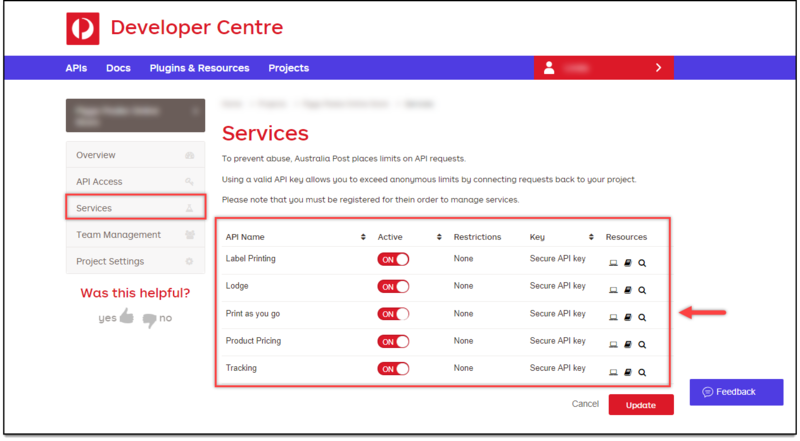 For Non-contracted rates – Australia Post API key. 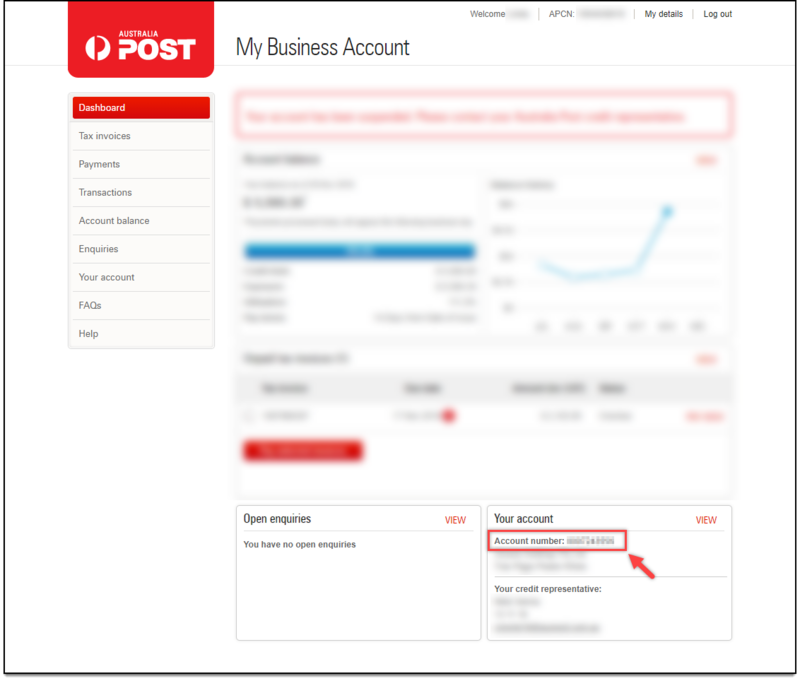 In this article, I’ll show how to register for an Australia Post account, obtain eParcel credentials and use them in our ELEX WooCommerce Australia Post Shipping plugin, step-by-step. I’ll break down the whole process in five simple steps. To get eParcel services, you need to register for an Australia Post business credit account. You need to fill out an application form and send it to Australia Post via post, or you can send a PDF copy to newcreditaccount@auspost.com.au. 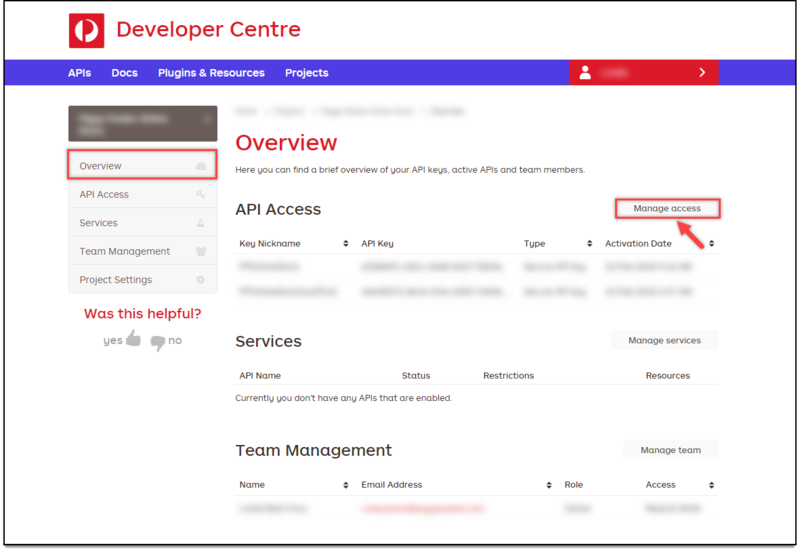 Once you have your business account ready, log in to the Developer Centre. Click on your profile name on the top right corner of the website and click Update details, as shown in the below screenshot. In the next screen, scroll down to find “Business applications” section and click on Go to My Business Account link as shown in the screenshot below. You’ll be redirected to your eParcel business account dashboard. Scroll down to find your account number in the “Your account” section, as shown in the below screenshot. Generally, the eParcel account number is of 10 digits including three zeroes in the prefix. Hence, the last seven digits of the account number are your actual eParcel account number. Remember, when using the account number in our ELEX WooCommerce Australia Post Shipping plugin, you need to use the last seven digits of your account number. Go to the Developer Centre. If you want to access eParcel contracted rates, print shipping labels, and track the shipments, etc., click Register now for an API key under “Shipping and Tracking” section, as shown in the screenshot below. In the next screen, you’ll be prompted for information that will be needed to register for an API key. Australia Post eParcel account number – for registering the API using an eParcel account. StarTrack account number – for registering the API using a StarTrack account. Same Day service account number – for registering the API using a Same Day service account. Click on Complete Registration button to proceed further. Next, enter details like your name, company name, email address, and phone number. Choose the desired service(s) and enter the respective account number(s). 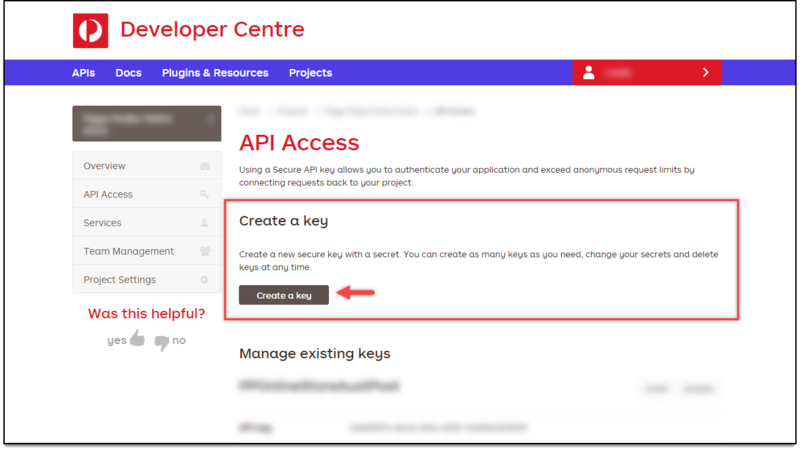 An important point to remember is that a general API key will be generated for the selected services. Since you are using an eParcel account, tick the respective checkbox and enter the account number (last seven digits excluding the three prefixing zeroes). Since you will be using our plugin, you can make use of our Platform Partnership facility. Choose the option “Yes” and select the platform as XAdapter (our former undertaking brand). Click Next to proceed. In the next step, you need to select Australian state where you will be handling your billing. At last, click Send. The settings are as shown in the screenshot below. Note: Once your request is sent, Australia Post takes around 24 hours to accept your application. You will receive an email containing the API key. If you have not received any email, check your spam folder or contact them for assistance. The API Secret is equivalent to API Password with respect to our plugin. 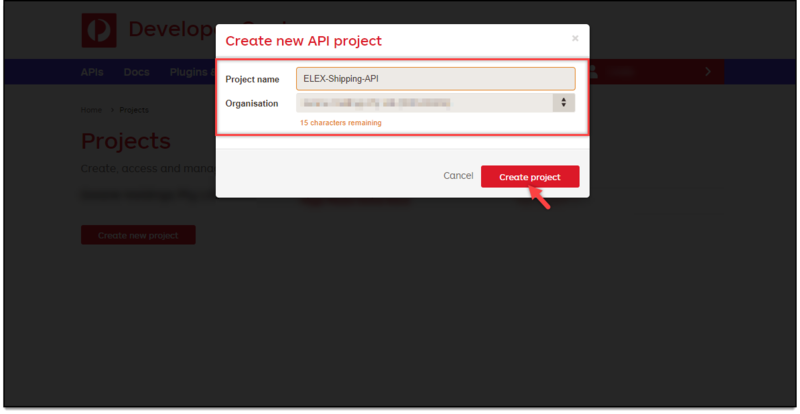 To generate an API Secret, you need to create a project in your Australia Post account. Here’s how you should do it. In your Developer Centre dashboard, you can see an additional menu as Projects when you have a business account. If you have multiple stores or organizations, you can create and manage separate API secrets by creating projects for each one of them. Click on the Projects menu and click on Create new project button. A pop-up window appears where you need to enter a project name and select your required organization. Sample settings are shown in the below screenshot. Once the project is created, go to the “Overview” tab and click on Manage Access button, as shown in the screenshot below. A new section named “API Access” appears. Click on Create a key button as shown in the below screenshot. In the next step, you’ll be required to enter a nickname for the key and desired secret value. Enter the desired values and click on Create key button. Once the secret key is created, you can view/manage it in the Manage existing keys section as shown in the screenshot below. At last, you need to enable the services that you’ll be using in your WooCommerce store. To do this, click on “Services” tab and enable desired services for your store. The services setup is as shown in the screenshot below. Finally, you have your Australia Post eParcel account number (from step 2), API Key (from step 3), and API Password (from step 4). Once you have the credentials ready, you can enter them in the plugin settings. Go to WooCommerce > Shipping > Australia Post > General. Enter your Australia Post eParcel credentials in the plugin settings as shown in the below screenshot. Note: The credentials that you have received in the process explained above are live credentials and can be used only for live transactions. If you need test credentials, you need to contact Australia Post support team. In this way, you can obtain your Australia Post credentials and use them in our ELEX WooCommerce Australia Post Shipping Plugin with Print Label & Tracking plugin.